Top 20 Reads for Spring 2013! This is a list of our favorite new books released this season! These are selected by Annie, Tresa and Diane, especially to appeal to our customers. We don’t pretend that these are necessarily the most important books of the season, or that these will all become classics, but they are all great reads we hope will keep you entertained and enriched for the next few months at least! Enjoy! Kwaku Sai is dead. 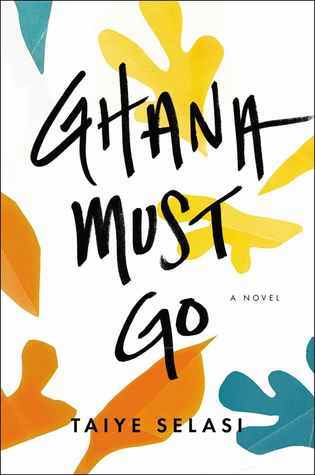 A renowned surgeon and failed husband, he succumbs suddenly at dawn outside the home he shares in Ghana with his second wife. The news of Kwaku’s death sends a ripple around the world, bringing together the family he abandoned years before. 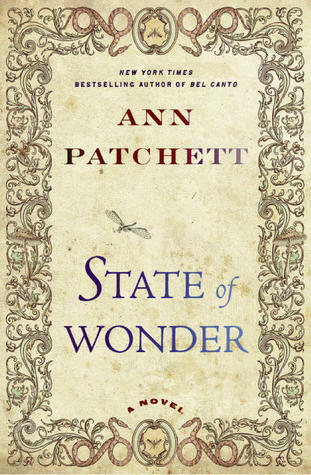 This novel teaches us so much about the lives of immigrants to America, and the cultural differences that we all grow up with that shape how we see the world and what we believe is wrong or right. This one with stay with me for weeks! Read More. 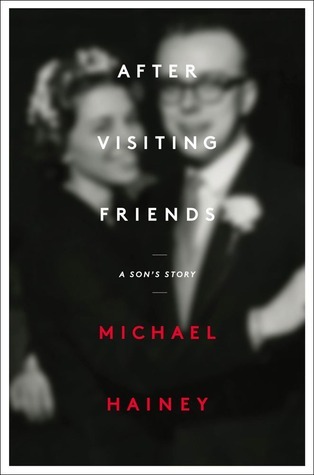 This memoir that reads like a thriller is the account of a man’s search for the truth about what happened to his father forty years ago, when he was found dead in Chicago. 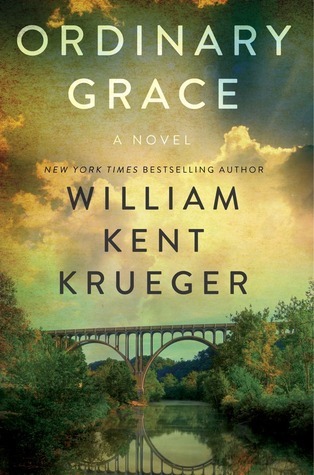 Filled with familiar places, and set against the backdrop of the newspaper industry of the Midwest, it is a son’s relentless quest to uncover what really happened, and an account of a mother’s love and sacrifices, and how families create and bury secrets. Read More. Longing. I presume that sometime in the deep darkness of our linguistic past that the word measured the degree of difference between where one is, and where one wants to be. Implied also is desire; yearning, and the emotions that accompany them, good or bad. Longing to be a musician, an astronaut, or for one who loves you may be joyful. Alternatively, longing for a lost opportunity, or an old lover no longer interested in you, woeful. Charles Holdefer’s book Back in the Game, is a book about longing. 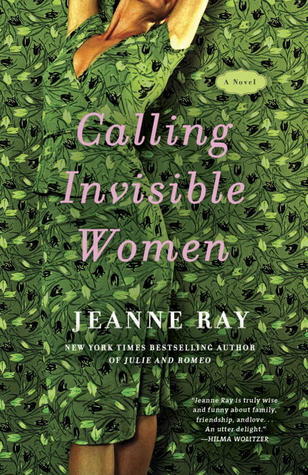 It’s also a book about the intricacy of human relationships, and their fragility. It’s also a book about globalization, and small town Iowa life. And pork. Stanley Mercer longed for a career in the big leagues of baseball, but didn’t quite make it. From A ball through Triple A, he took detours through Mexico, the Dominican Republic, and eventually a defunct European League where he lost his job in France when the team owner lost interest in the game. Stanley also lost his girlfriend Delphine somewhere along the way. Probably long before he knew it. Thanks to a little “white lie” and to his brother Riley, a well-off fellow in a marshmallow existence, Stanley finds himself in a teaching position in a high school in a dying town called Legion. Big Ag is getting bigger and bigger, and bottom line is that as farms get bigger, many rural towns die. One professional life in tatters, and another soon to be, Stanley finds unrequited love and oddly kindred souls on the margins of existence. That, or at the center of it. Lovingly crafted, and written from the unique perspective of an Iowan, an insider who knows our culture yet has a cosmopolitan eye for the big picture, this is a delightful and challenging perspective of a uniquely modern midwestern life, remarkably close to our own. Charles Holdefer is a native of Knoxville, Iowa, and currently lives in Brussels with his family, although he returns to Iowa regularly to teach at the Iowa Writer’s Workshop. 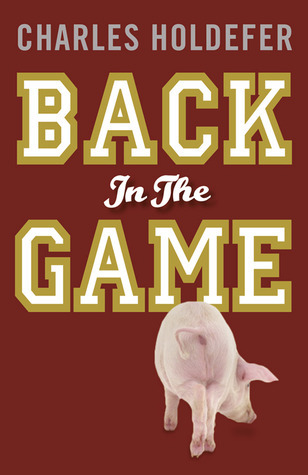 He will be here at The Next Chapter on Thursday evening, July 19th, 2012, at 5:30, to discuss Back in the Game, writing, and life, and to sign copies of his book. Author & Humorist Charlene Baumbich Comes to Knoxville! A couple of years ago a woman from Illinois and her husband were driving through Iowa, and they happened to stop for gas in Knoxville at the BP station just east of the square.The woman took advantage of the stop and visited the ladies room, and much to her delight, found it to be super clean and very stylish with checkerboard tiling in raceway colors. She mentioned her approval of the bathroom to the gas station attendant, as she was purchasing a soda at the counter. The cashier mentioned that the root beer she had chosen was made locally at our new brewery, which led her directly down the street to Peace Tree Brewing Company. During her tour, the director learned that the woman was an author and she sent them over to us at The Next Chapter. This charming and charismatic woman bounded through the book store door asking whether I’d ever visited the BP bathroom before. After I admitted I hadn’t had the pleasure, she proceeded to go on and on about how fabulous it was, even showing me a picture she had taken of it! She continued on, in her excited and contagious way, to describe her fabulous time at Peace Tree, with t-shirts in tow for her sons. As we talked, I learned that Charlene is an author. 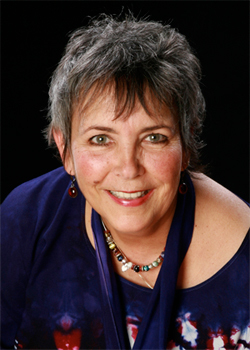 She has written numerous books, including several inspirational and self-help titles, the beloved Dearest Dorothy series, and the Snow Globe Connections series, and when I met her she was working on a new book for her Snow Globe Connections series. She mentioned that she was looking for a ballet dancer to help her with some technical details for this newest book. Of course, I disclosed that I was a book store owner, but also the owner of “Tresa’s School of Dance” and had taught dance classes for 38 years! It was like a match made in heaven as she ran across the store to hug me, and then asked if I would help with her process by reading her manuscript. I was honored and excited at this request, and sent her to the computer shop to have her script printed so she could leave it in Knoxville with me. Then, local KNIA/KRLS news director, Dr. Bob Leonard, also happened into our store during Charlene’s visit, and he asked if she might be interested in giving an interview for his weekly show, to which she graciously and excitedly agreed. After a lovely visit, we sent Charlene and her husband to The Swamp Fox for dinner, and so their gas station stop turned into a six hour sojourn in Knoxville! Since then, we’ve kept in touch with Charlene, read some of her books, and learned more about her career as a humorist and speaker. 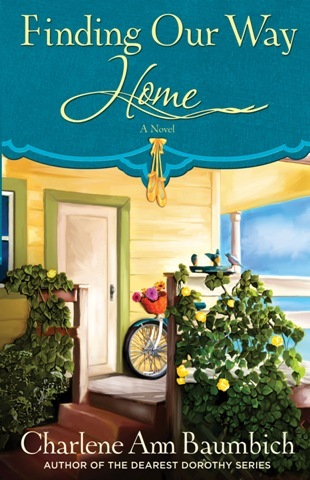 I enjoyed reading her manuscript for Finding Our Way Home, and was able to offer some expert advice to make the book, which features an injured ballerina who must learn to live without her dancing, even more true to life. And now, I am so pleased to have the final result on our shelves along with Charlene’s other books! So, to celebrate the release of Finding Our Way Home, it is with great pleasure that we welcome Charlene to Knoxville once again, for a trio of special events on Thursday, March 22nd. At 12 noon, the Knoxville Chamber of Commerce will host Charlene at the Peace Tree Tasting Room for an edition of Expert Edge– Business Survival 101: The Balance Between Humor and Grit. 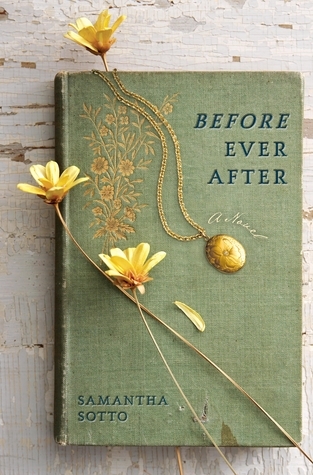 At 2pm, an Afternoon Tea and Book Signing here at the Next Chapter. Finally, at 5:30, come to The Peace Tree for “Charlene, etc., Life’s Quirky Tidbits,” as our special guest entertains us with humor, uncommon wisdom, and passionate insights. It’s hard to believe that it’s been three years since we opened our doors on November 3rd, 2008 — so much has happened in that time, both in the world around us, as well as in our shop. It hardly seems possible for it to all have gone on in just three years! Here at The Next Chapter, Tresa and I have watched a dream grow, first becoming a startup indie bookshop with a few gifts and lots of ideas; and then blossoming into the thriving shop we like to call our Book and Gift Boutique, where we are fortunate to be working, every day. Three years ago, we were just opening our doors, hoping that you would find something you liked on our shelves. You were wonderful! You supported us beyond most predictions, so we got to work, and the startup grew into a bustling shop. It was the Next Chapter in both of our lives. We knew we wanted to have used books as well as new. So we opened our used book basement, seeded it with books from our own collections and began taking donations, giving 10% of each month’s used book sales back to the community in the form of checks to local charities. We wanted The Next Chapter to have a warm and welcoming atmosphere, so we made a seating area with soft couches and a table with chairs. We installed the book shelves all along the perimeter of the space and arranged displays of books and gifts on tables and shelves and spinners throughout the middle of the shop. We invited people to stop, have a cup of coffee, take a few minutes to browse, relax, enjoy. Over the next three years, we listened to feedback, we worked to fulfill requests, we watched what was happening in our community, and tried to help wherever we could. 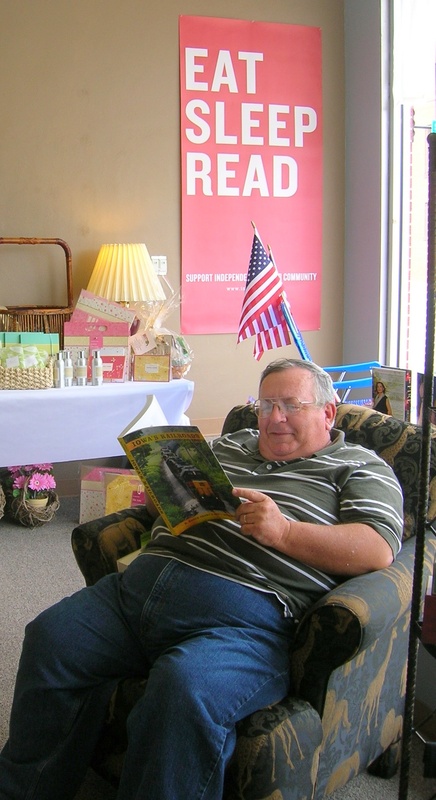 We read countless book reviews and fine tuned our book selection. When we didn’t have what you were looking for, we helped you locate the books you wanted. When you responded to the few gift lines we carried, and asked for more, we slowly began to carry more kinds of items, or bigger selections of the kinds of things you shopped for. When other shops on the square closed their doors, or opened, we responded to fulfill the needs of our town by carrying items like greeting cards. We tried a few things that just didn’t work, like magazines; or that were initially intended to be temporary like blooming plants during the spring season. We sought out some of the things that weren’t available in our community, to encourage you to shop locally. We added some specific gift lines that you asked for, like Willow Tree figurines and WoodWick Candles, to name just two. And again, your response has been great! All the kind words and encouragement, as well as the willingness to shop locally, have made The Next Chapter a success. 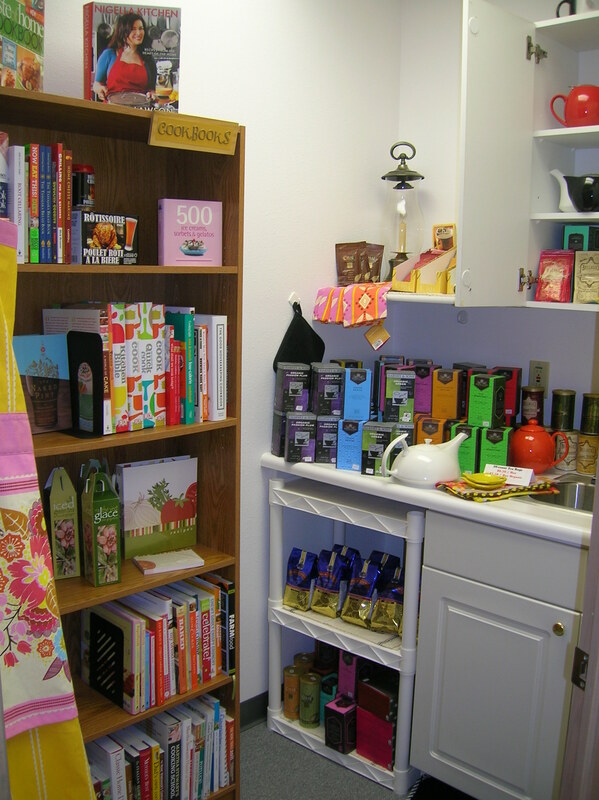 In April of this year, we annexed the suite of offices between the main shop and the dental office, and added a Home and Garden Décor section, stocking it with lots of beautiful things to make your house a home, and gourmet food mixes, coffees and teas to feed your loved ones. A few months later, we realized we needed more help, so we hired Diane Gordon, the third member of our team, who brings years of bookshop and book-keeping experience along with a generous portion of creativity to the mix. We’ve enjoyed having her, and her new perspective, helping make this an even better place. If you haven’t been to The Next Chapter lately, you may not know that the term ‘gift selection’ is perhaps a bit misleading. We have a fashion accessories section, a paper goods section with cards and journals, and a toy section, and of course, our Home and Garden section. One day, a year or so ago, a woman from out of town, who had spent some time browsing and shopping, stopped on her way out carrying several bags, and exclaimed, “This is a Book Boutique! I love it!” We liked it too, and have added that to our description of The Next Chapter. 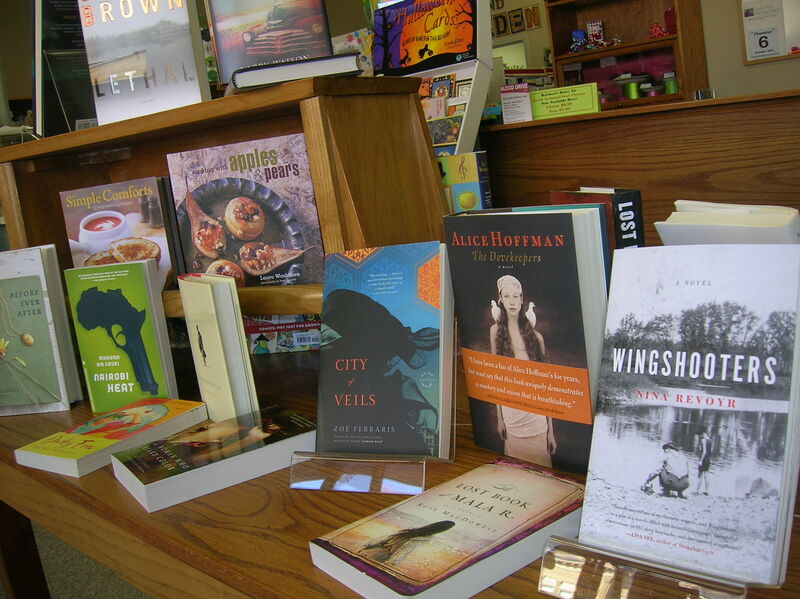 We like being a Book and Gift Boutique. We also like being part of Knoxville’s own next chapter, as our town looks to the future and works to solve the problems facing many communities of our size. We have donated over $5000 to local causes benefitting everything from homeless pets to college bound students. We’ve sold nearly 20,000 new books, and 9000 used books since we opened – just think of all that reading! We have entered into partnerships with other local businesses, such as the Peace Tree Brewing Company to bring entertaining events to the town. We have worked with local schools, libraries and churches, offering discounts and services, because we want to be the local source for the books they need. We have offered adult education classes on such diverse topics as Basic Computers, Flower Arranging, Memory Quilt Crafting and more. We provide meeting space for several local organizations, and gathering space for the community at large. We have sold tickets to numerous events for organizations like the Red Rock Arts Alliance and K-Act. We have welcomed other would-be entrepreneurs, offering encouragement and practical assistance whenever we could. As we look to the future, we’re ready for yet another chapter as we begin our 4th year of business. We will continue to bring the best new books each season, finding those titles that make you happy and keep you informed and entertained. We will continue to find great new product lines for your gift-giving needs and your own pleasure. We will continue to support our community with financial contributions, in-kind donations, and institutional discounts; as well as by being the local outlet for event tickets, and the ideas incubator for would-be entrepreneurs. We not only want to encourage folks to shop local, we also want to become a destination for people outside of our community. We will bring in more authors, more events, and more classes. We want to live up to our name, by helping to bring the ‘Next Chapter’ to Knoxville. I’ve got spy thrillers on the brain, as I pick the three books our Lunch Time Book Club will read this winter. We’ve been taking a tour of popular fiction genres, reading three iconic or representative novels from a given genre each season. 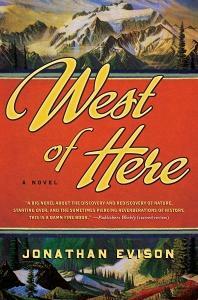 We read romances in summer, and are finishing up Westerns next week. 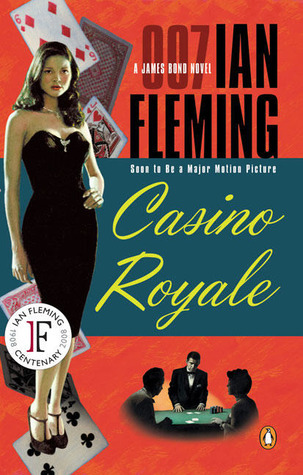 We’ll take a break and meet again January 3rd, 2012, to discuss the first of our three Spy Thrillers! We’ve had a lot of fun with this ‘tour’, it has brought new people to our group, and we’re all reading a few books that are definitely out of our respective reading boxes. I’ve done some googling, and learned that the Spy Thriller, as a genre, began to develop in the late 1800s, with a few suspense and mystery novels veering toward the espionage side of the tracks, with books like Kipling’s Kim, and then later by authors like James Fenimore Cooper. WWI and the Russian Revolution also spurred a number of spy novels, including The 39 Steps by John Buchan, and works by Joseph Conrad. Later, during WWII, Helen MacInness and other writers revived the genre, which had languished a bit between the wars, but it was after the war was over, and the Cold War went into full swing, that Spy Thrillers really got going. I have chosen to focus on titles written since this florescence, and have compiled a list of best-of-the-best Spy Thrillers for your feedback. At our last meeting, I told our book club members that I would ask for input (I’m having a hard time choosing), so I’ve made a poll (see below) to allow you to vote for your top three favorites. We are looking for those three Spy novels that are the best of the best and classics of the genre, or the best of one of the crucial authors in the genre. So please, help me, vote for your TOP 3 Spy Thrillers from the list below. This is our Top 20 List for the Fall of 2011, handpicked by Tresa, Annie and Diane. Some are best-sellers, others are more obscure; most are new for the season, a few are a bit older; but all of them spoke to us and are books we believe that many of you will enjoy! We also have a Children’s Top 20 list, which I will get around to posting soon. The magical tale of a mysterious circus that moves from place to place, unannounced, and sets up overnight in a palette of black, white, and silver. Each tent holds surprises more wonderful than the last, and this book is well worth reading just for the descriptions of the tents and their contents. But it is so much more. 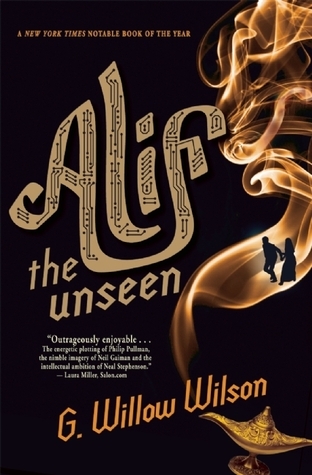 It is also the story of two young magicians who are groomed since early childhood to compete in a mysterious rivalry with unknown rules and an unknown victory point. And arching over these two themes, are the love stories of the people of the circus who feel every sort of love from filial and fraternal to the unrequited and the sublime. This is the best book we’ve read in a very long time! 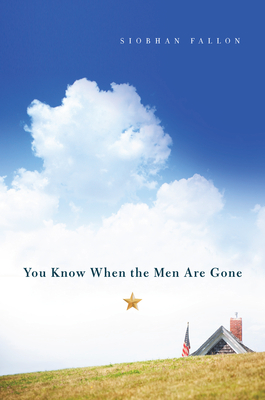 A widow learns that her husband, Max, was not who she thought he was when a young man claiming to be Max’s grandson comes to her door and tells her Max is still alive. The two set out to find the elusive Max, and along the way they tell one another their stories of life with Max, and slowly reveal his true nature. 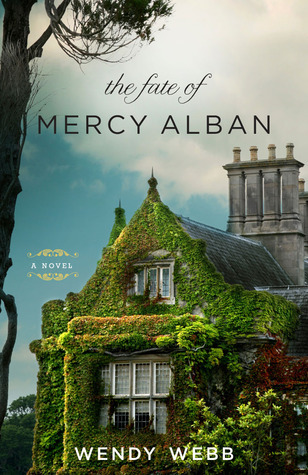 Mystery, history and romance with a lovely thread of golden baked eggs running through it. Yummy! 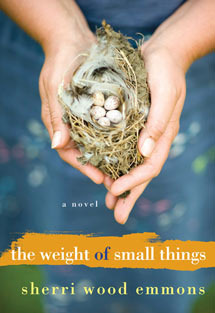 A moving novel about an artist grieving both her mother and her empty nest who must come to terms with her marriage and life. 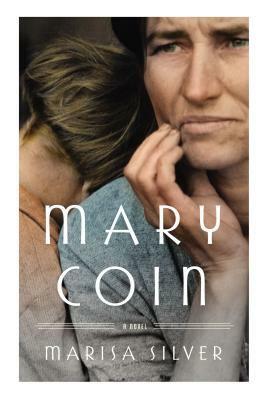 Everything she thought she understood is then challenged when the writer researching her mother’s philanthropic life turns out to be an old flame, revealing more about her mother’s unknown life and about her own feelings. An injured ballerina from London learns that she has inherited a sheep station in Australia from her grandmother. 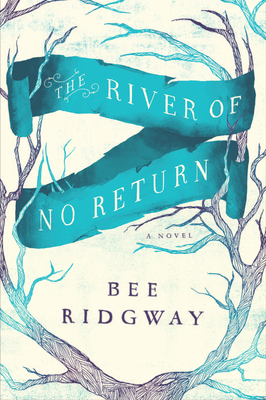 When she travels to Australia with the intent of selling the sheep station, she begins to learn more about her grandmother, whose life was rich, if not easy, and she finds that a new life is possible in the most unexpected places. 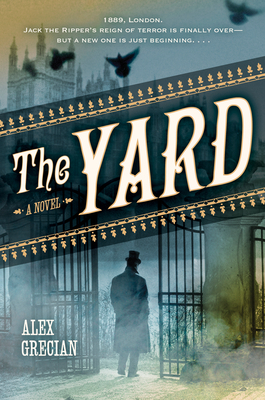 Compelling, atmospheric, and romantic. 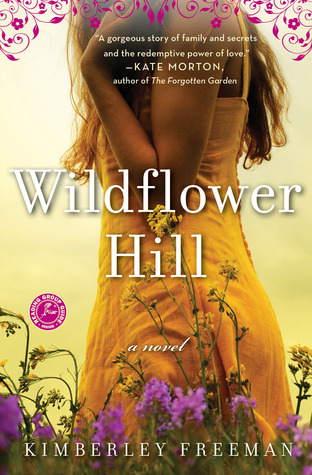 If you liked Kate Morton’s Forgotten Garden, pick up Wildflower Hill! 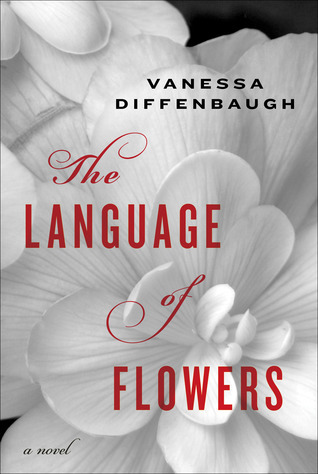 An emotionally shattered young woman ages out of the foster care system, and struggles to find her way in the world, building a flower business along the way based on the Victorian idea of the Language of Flowers. 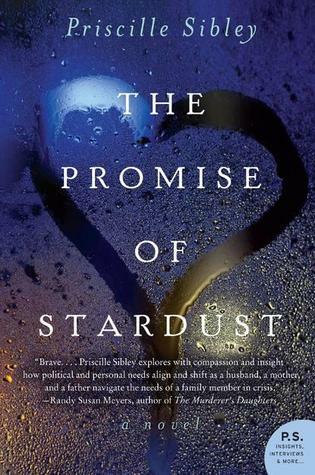 A dark condemnation of the current foster care system, this is not a happy book, but one with plenty of questions about what makes us who we are, and how we may someday be able to overcome it. 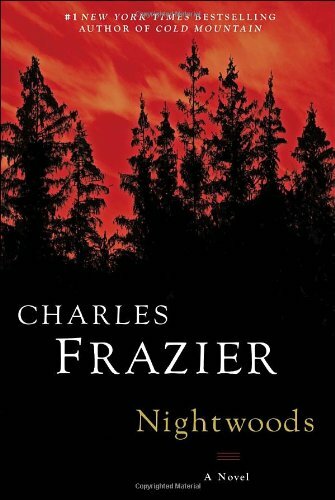 Nightwoods may be Frazier’s best work to date. 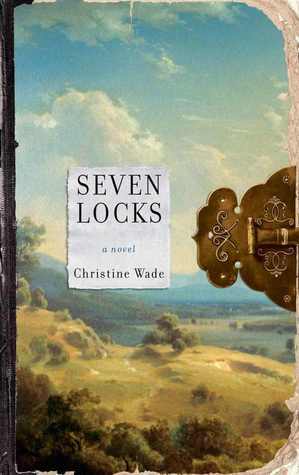 This is the lucid and beautifully written story of a reclusive woman who finds herself raising her murdered sister’s very damaged young twins in the South of the 1970s. A layered cast of characters includes the heir to a fortune, and the unholy duo of her lawman father and her psychotic brother-in-law. A pharmaceutical researcher goes to the Amazonian jungle to retrieve the notes and personal effects of a colleague who recently died there. When she gets there, she encounters her former mentor, a renowned gynecologist researching the exceptional fertility among one of the native tribes, and comes face to face with her own past and the decisions that shaped it in the midst of the humid heat and hardships of the jungle. 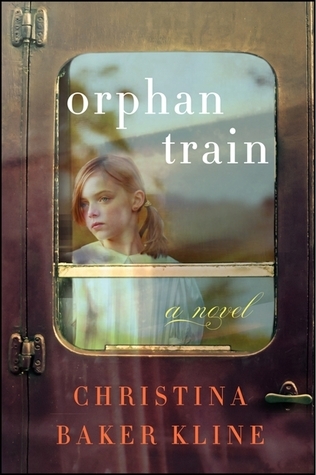 Beautiful and atmospheric writing drives home this emotional tour-de-force. 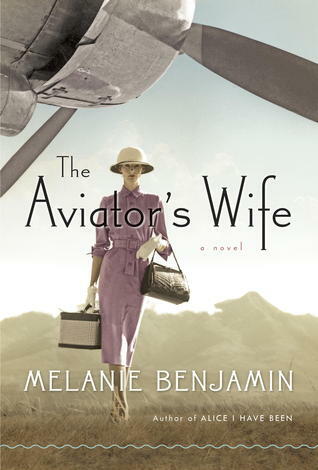 Set during WWII in the Pacific, this is the suspenseful story of the search and rescue operation undertaken after a plane full of Medics crash lands among the dreaded Head Hunters of New Guinea, leaving only three survivors, including one woman. 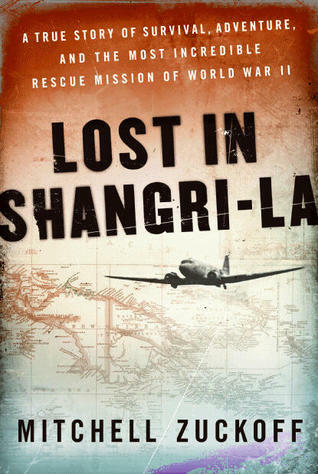 A riveting story of deliverance under the most unlikely circumstances, Lost in Shangri-La deserves its place among the great survival stories of World War II. Where do you go after you’ve read the Girl with the Dragon Tattoo? You move on to other top-notch foreign authors like Deion Myer. In 13 Hours, South African police detective Benny Greisl must find a fleeing American girl who witnessed a terrible crime before the bad guys do while he solves another murder across town, all the while navigating the new social rules in South Africa. If you liked the TV show 24, you’ll like the hour-by-hour non-stop action here. In Trackers , Meyer’s brand new novel, a highly skilled bodyguard becomes embroiled in an animal smuggling and rescue operation. 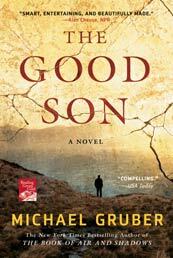 This is a brilliantly complex standalone thriller set in his native South Africa, which captures the many facets of modern South Africa. Another foreign writer to catch, the popular Icelandic author Indridason. 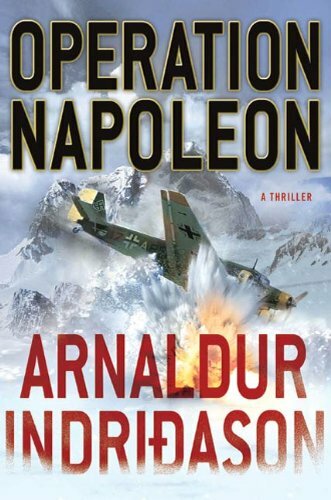 When the remains of a crashed WWII plane re-surface on an Icelandic glacier, a woman and her brother find themselves embroiled in a plot to hide its secrets that reaches from Nazi Germany to the highest reaches of government in the 21st century. 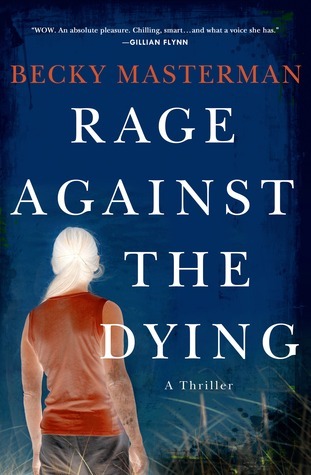 With skillfully-wrought pulse-pounding suspense, authentic locales, and plenty of secrets and twists, the ending to this thriller was satisfying and left me ready for more Indridason! 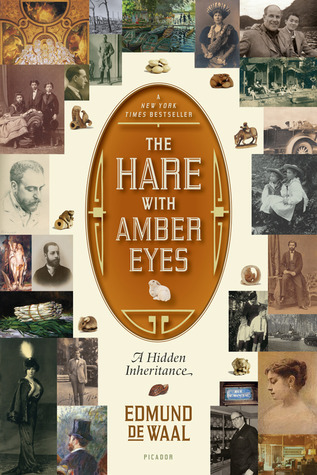 This strange and graceful family memoir follows the history of a group of Japanese Netsuke carvings from the late 19th century when they joined the collection of the Ephrussis, a prominent European Jewish family, through the family’s misfortunes during WWII, when a faithful maid saved the Netsukes – the only survivors from the vast art collection destroyed by the Nazis — to the modern day when they were inherited by the author, a famous ceramicist in England. The life, legend and business of Rin-Tin-Tin, the soulful German shepherd who was born on the battlefields of World War I, immigrated to America, conquered Hollywood, struggled in the transition to the talkies, helped mobilize thousands of dog volunteers against Hitler and himself emerged victorious as the perfect family-friendly icon of cold war gunslinging, thanks to the new medium of television. 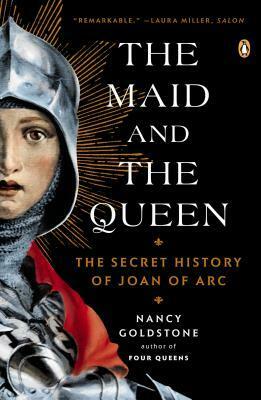 Epic and heartwarming, this is one terrific story, beautifully written and meticulously researched. Perfect for the US history buff on your Christmas list! 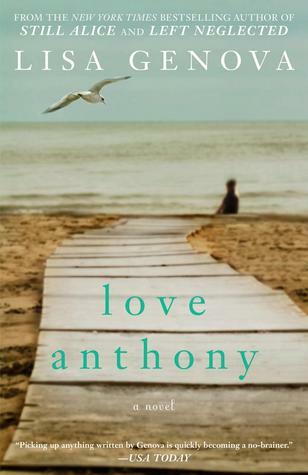 Renowned Midwest author Larry Watson returns with this poignant coming-of-age story about a young boy in a small Midwestern town 1960s, and of the conflicts of loyalty that confront him after he is taken under the wing of the local doctor and his family. 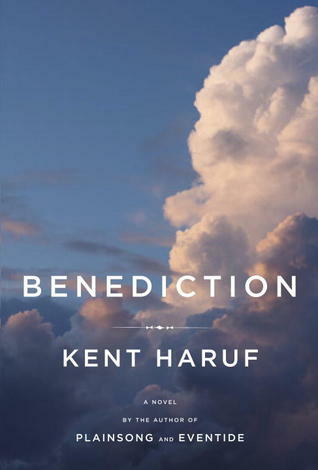 This is one beautiful and wise novel that will linger in your mind for a long time to come. The moving and inspiring biography of beloved Parkersburg, Iowa, coach who was a high school football coach, a man of deep faith, and a pivotal leader in his community, and who was senselessly gunned down by a disturbed former student. This is also the story of the grace and love that his family showed to Thomas’ murderer and his family in the aftermath. 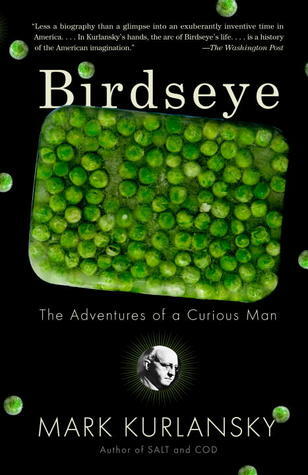 Riveting, and highly recommended. The fascinating history of the mighty Mississippi River during its heyday as the nation’s highway in the first half of the 19th century. A tribute to the river’s complexity and power with all its floods and snags, this narrative is populated by slaves and merchants, farmers and drifters, would-be revolutionaries and artists, their stories told with humor and a certain raw authenticity that adds another dimension to the classic vision of the Mississippi written by Mark Twain. A fun and thought provoking chapter of our nation’s history. This is the moving and surprising memoir of a city girl who after a whirlwind courtship, marries into an Iowa Apple farming family, only to find that life on the farm is isolated and heartbreaking. She struggles to integrate into her new husband’s family, and with the family, she struggles against the pests that threaten not only the apples but also their livelihood and their lives. This gorgeous cookbook celebrates the bounty of locally grown food, and the traditions of the Midwest with all its rich ethnic and historical heritage in a mouth-watering presentation of traditional ingredients and wonderful recipes. 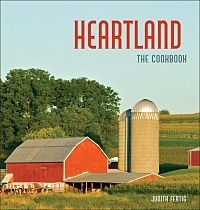 What a great gift for any cook, or any midwesterner! Both art-book and craftista-inspiration, this gorgeous volume is chock full of beautiful things to make and admire from materials gathered in the forest. A wonderful gift for those of us who never return from a walk in the woods with empty pockets. Life is a Verb is brilliantly-crafted, beautifully-designed, and not your mother’s kind of ‘self-help’ book. It guides the reader, through stories that sparkle, astonish and soar, how to move toward who you really are and what you want through actions. Creative is a Verb, the follow up, helps the reader realize their own creative spirit, whether they be artists or folks who say ‘I’m not creative’. After her sister’s death, a woman who grew up in a family of readers, resolves to spend a year reading one book a day, and writing about it. 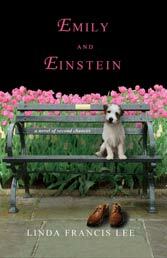 The result is this thoughtful memoir that explores the healing and transformational power of reading. Our Top 20 Spring Reads List! 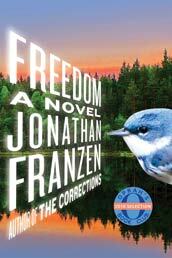 We realized when we had our list compiled, that these books have a common theme – FREEDOM. We found books about the freedom to do what you want – for better or worse, to be what you want, to make mistakes, and the freedom to forgive yourself (and others) for past mistakes. Other books on the list are about fighting for freedom, sacrificing for freedom, and the freedoms that some people will go to the ends of the earth to acquire, and even the freedoms that some people try to prevent other people from enjoying. It was an unintended theme, but one that emerged nonetheless. We hope you find some of these books to be as wonderful as we did. 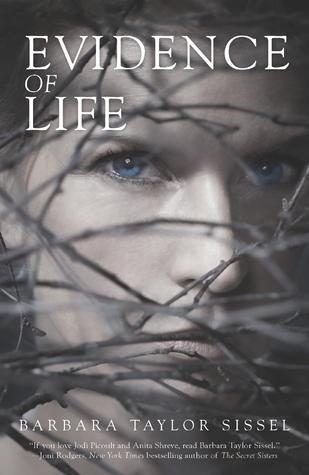 An emotional and revealing exploration of the life of the Queen of Heartbreak. Based on dozens of interviews, McDonough’s book unveils a life of profound extremes, from Wynette’s impoverished youth in Mississippi, to her meteoric rise after meeting legendary producer Billy Sherrill, to her star-crossed marriage to music legend George Jones. What emerges is an unforgettable view of a Nashville that no longer exists-and a woman whose life mirrored the sadness captured in her music. And to wrap up the list, just because we all need a little help now and then with remembering how sweet the little things in life really are, we suggest this joyful little gem that celebrates the little pleasures, like the smell of rain on a sidewalk, or the feeling you get when you see the colors lined up in a fresh box of crayons !